Steve Young is Professor of Information Engineering in the Information Engineering Division. During 2001 through to 2004, he served as Chair of the School of Technology and he was a member of the University General Board. From 2006 to 2009, he served as an elected member of the University Council and from 2009 to 2015 he was the Senior Pro-Vice Chancellor responsible for Planning and Resources. His main research interests lie in the area of spoken language systems including speech recognition, speech synthesis and dialogue management. He was Editor of Computer Speech and Language from 1993 to 2004, and Chair of the IEEE Speech and Language Processing Technical Committee from 2009 to 2011. He now holds a joint appointment between Cambridge University and Apple Computer where he is a member of the Siri Development Team. Steve is a Fellow of the Royal Academy of Engineering, the Institution of Engineering and Technology (IET), the Institute of Electrical and Electronics Engineers (IEEE) and the RSA. 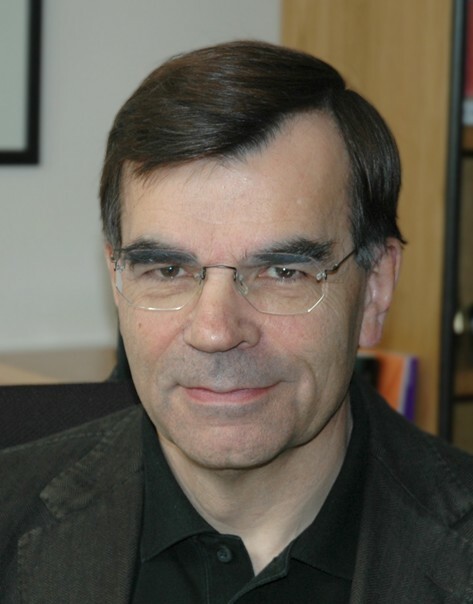 In 2004, he was a recipient of an IEEE Signal Processing Society Technical Achievement Award; in 2008 he was elected Fellow of the International Speech Communication Association (ISCA) ; in 2010, he received the ISCA Medal for Scientific Achievement ; in 2013, he received the European Signal Processing Society Individual Technical Achievement Award ; and in 2015 he received the IEEE James L Flanagan Speech and Audio Processing Award. AAAI 2017 San Francisco / WSDM 2017 Cambridge "Statistical Spoken Dialogue Systems and the Challenges for Machine Learning." ACL 2016 Best Student Paper Award for "On-line Active Reward Learning for Policy Optimisation in Spoken Dialogue Systems." Computer Speech and Language 2015 Best Paper Award for "BUDS: A POMDP framework for spoken dialogue systems"
EMNLP 2015 Best Paper Award for "Semantically Conditioned LSTM-based Natural Language Generation"
SigDial 2015 Best Paper Award for "Stochastic Language Generation in Dialogue using Recurrent Neural Networks"
SigDial 2013 Best Paper Award for "POMDP-based dialogue manager adaptation to extended domains"
Computer Speech and Language 2013 Best Paper Award for "Hidden Information State model"
ISCA-EURASIP 2011 Best Paper Award for "Data-Driven Emotion Conversion in Spoken English"
IEEE Spoken Language Technology Workshop 2010 Best Paper Award for "Parameter learning for POMDP spoken dialogue models"
Computer Speech and Language 2010 Best Paper Award for "Partially Observable Markov Decision Processes for Spoken Dialog Systems"
Interspeech 2010 Best Paper Award for "Natural Belief-Critic: a reinforcement algorithm for parameter estimation in statistical spoken dialogue systems"